Assistant Professor Tan Bui-Thanh in the Department of Aerospace Engineering and Engineering Mechanics and Institute for Computational Engineering and Sciences has received three new research grants to tackle the challenge of quantifying the uncertainty in the solution of large-scale data-driven inverse problems. 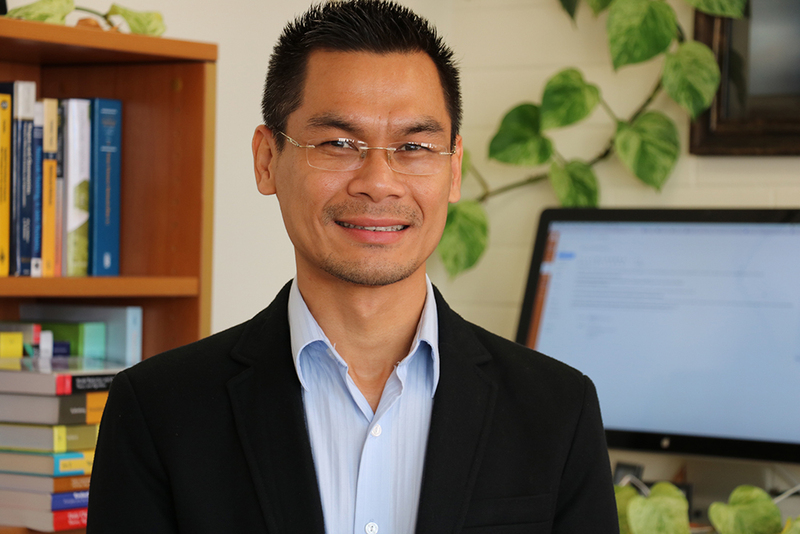 Since uncertainty is a factor in every aspect of physical models, Bui-Thanh’s research is applicable to a wide range of topics, including improving the production of fusion energy, forecasting the effects of nuclear weapon radiation, and modeling characteristics in oil reservoirs, all for which he has received grants. Funding for these projects comes from the Department of Energy (DOE) Fusion Energy Sciences and Advanced Scientific Computing Research, the Defense Threat Reduction Agency (DTRA) and ExxonMobil. “Though great advances have been made in mathematical theories and computational algorithms for inverse problems, quantifying the uncertainty still remains an open problem,” Bui-Thanh said. Quantifying uncertainty using inverse problems is complex since the data given is limited—measurements of physical models are not always precise, and mathematical models can be inadequate. 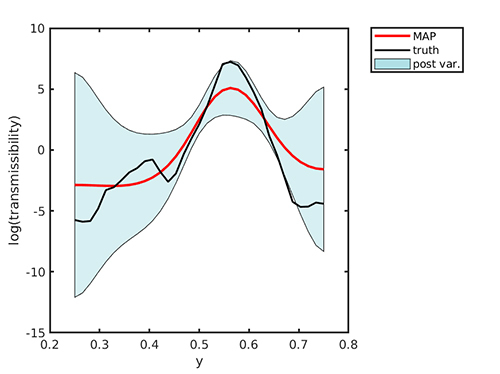 To quantify uncertainty in these models, Bui-Thanh must account for these errors and limited data, or ‘noise,’ which ultimately produces a wide range of possible solutions with associated uncertainty. A good example of quantifying uncertainty is predicting the weather; in the end, there are multiple forecasts, or outcomes, in any given situation. The DOE grant focuses on developing simulations that will help prevent damage to Tokamaks—hot plasma containment devices used to produce controlled thermonuclear fusion, which can be disrupted, such as being melted in the fusion energy process. Tokamaks are a revolutionary tool in the growing industry of fusion energy. According to Bui-Thanh, research in this area is particularly important as the demand for energy increases with the world’s booming population. For example, ITER (International Thermonuclear Experimental Reactor), an international mega-project made up of 35 countries including the U.S., uses Tokamak fusion reactors which have the capability of producing 500 megawatts of energy from only 50 megawatts of power in just minutes. Bui-Thanh’s research, in collaboration with many institutions and DOE laboratories, will simulate disruptions that can occur to the Tokamak while it endures temperatures up to hundreds of million degrees during fusion, so that scientists can better understand how to control the device and make it more efficient. Figure 1 (left) shows the evolution of the x-component of the magnetic field (circles are the result of Bui-Thanh’s HDG method and solid lines are the exact solutions) for the Magnetohydrodynamic Hartmann liquid metal flow. 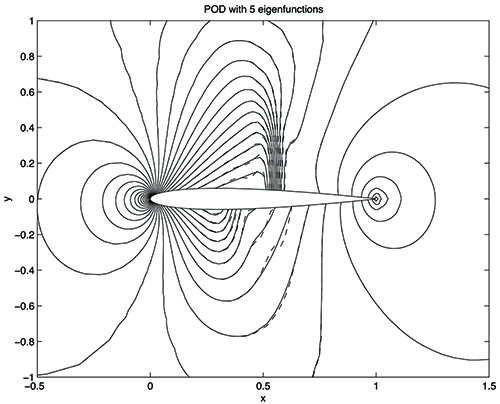 Figure 2 (right) shows the evolution of x-component of the magnetic field (circles are the result of Bui-Thanh’s HDG method and solid lines are the exact solutions) for the Magnetohydrodynamic Rayleigh flow with Alfven wave propagation. This figure shows an application of the reduced-order modeling (ROM) method in predicting the pressure distribution over an airfoil: Bui-Thanh’s ROM result with only 5 unknowns (dashed curves) orders of magnitude faster than the exact result with thousand unknowns (solid curves). The DTRA grant supports simulating predictions of nuclear weapon radiation effects. Current mathematical models are costly and time consuming, making it difficult for lawmakers to make informed decisions about nuclear weapons. Bui-Thanh’s research group, together with Texas A&M scientists, will develop fast reduced-order models that are more efficient and less costly, for real time simulations/predictions of nuclear weapon radiation effects. In order to perform the mathematical models required for the simulations for these two projects, Bui-Thanh and his students will make use of the new Stampede2 supercomputer at the Texas Advanced Computing Center, currently one of the most powerful supercomputer at any U.S. university and one of the most powerful in the world. In this figure, the black curve is the actual transmissibility of the fault (fracture). The red curve is the inverse solution, and the cyan region is the estimated uncertainty in the solution. The ExxonMobil project focuses on modeling oil and gas reservoirs by analyzing complex features in the reservoirs, including faults and fractures. These models can help determine whether a fault or fracture will serve as a channel or obstacle in oil production, which could improve oil production, and save money and time. Bui-Thanh looks forward to developing solutions to these large-scale data-driven problems and believes this work can “harness the potential of extreme computing to enable predictive scientific simulations and further science discoveries."